White captures three to make an eye. 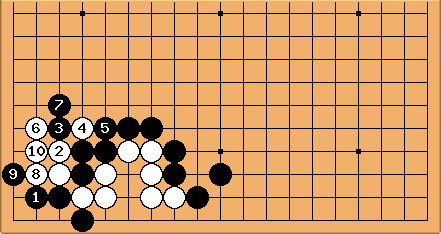 Black can't protect there because of shortage of liberties. Capturing at makes a second eye at . 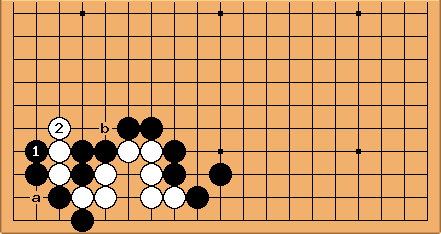 Black can't play at a. Here too White makes two eyes at the circled points. 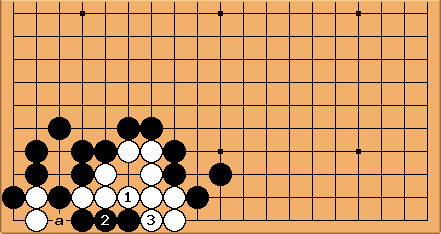 If Black connects at , the atari at is sente (see next diagram) and makes a bent four living shape. If here, capturing three stones with assures a quiet life. 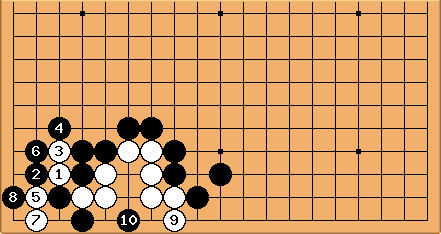 Even if Black throws in at , White is alive with a and b being miai. Giving atari this way would not be very smart. 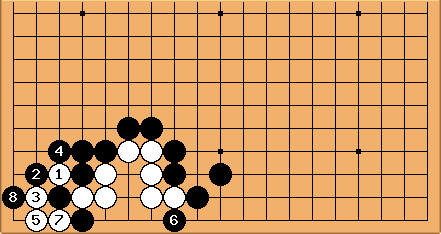 White now captures either at a or at b.
at . 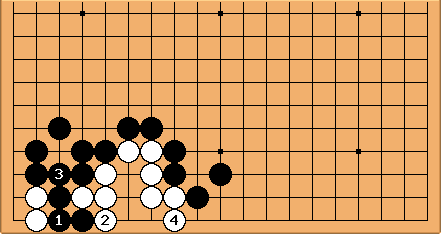 The variation is long, but up until in this diagram it is forced and the - exchange is well known. White has to find the throw-in at , though. 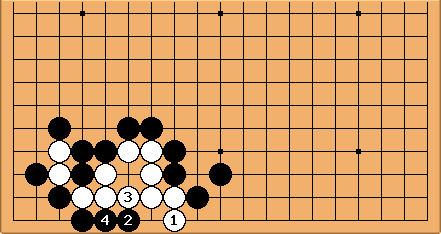 Maybe it is simpler to play here and fire off the sequence - then. 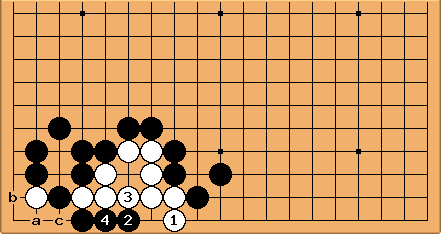 We will have a look at some preparatory moves: why White should not yet start the well-known sequence. 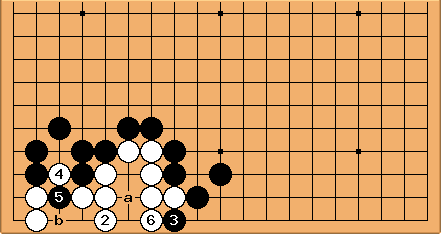 If a has not yet been exchanged for b, White runs out of options. 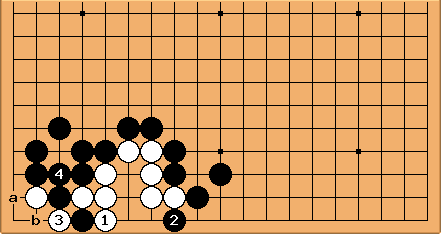 Whatever she does, Black will connect at c.
Blocking here is not sente: Black can take time to hane. 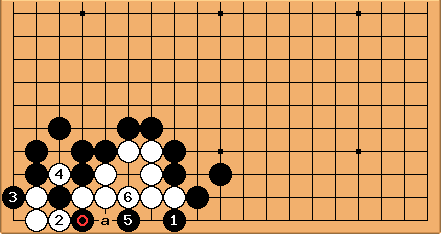 White can't makes an eye in the corner because a and b are miai for Black. 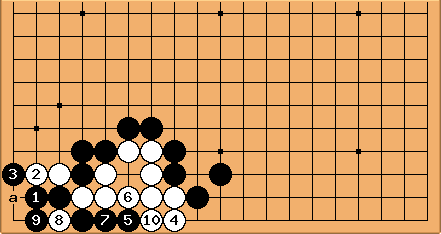 If at b then at a and there are only false eyes in the corner. 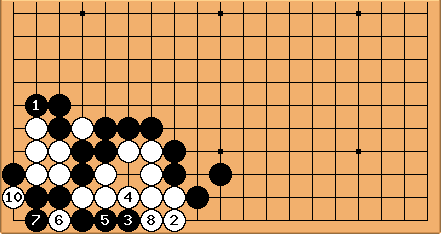 The sequence becomes less effective, the more preparatory moves are omitted. If cuts immediately, then White can only achieve a ko and not unconditional life.